11/23: Is it Christmas Yet? 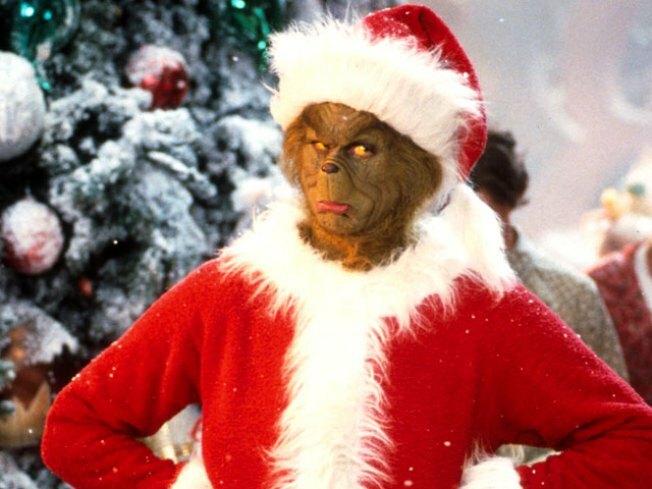 Jim Carrey as the Grinch. GET ICY IN SD: "Fantasy on Ice" promises ice-skating outdoors adjacent to Horton Plaza. Skating sessions last two hours. Closed Thanksgiving and Christmas. 619-234-1031. Adults are $12.00 and children (Under 12) are $10. Fee includes skate rental. For more information about “Fantasy on Ice” visit the official website. HOW THE GRINCH STOLE CHRISTMAS: America's favorite holiday fable, back for its 12th incredible year, is a wonderful, whimsical production that will once again jump right off the pages of the classic Dr. Seuss book and onto the Old Globe stage. Come take part in the fun as The Globe is transformed into snow-covered Whoville right down to the last can of Who-hash! This holiday classic opens on Saturday, November 21 and runs through December 27. For show and ticket information click here. MONDAY NIGHT FOOTBALL: Are you ready for some football? Catch al the games at La Jolla Brewhouse. La Jolla Brew House invites you to catch all the games at their House every Monday night. Watch your favorite games on new TVs with new sound and two big screen projectors. Enjoy Happy Hour until 9pm, $10 Pitchers, $3 House Drafts, $2 off Appetizers, and have fun with half time trivia and prizes. Visit the La Jolla Brewhouse website for more information.